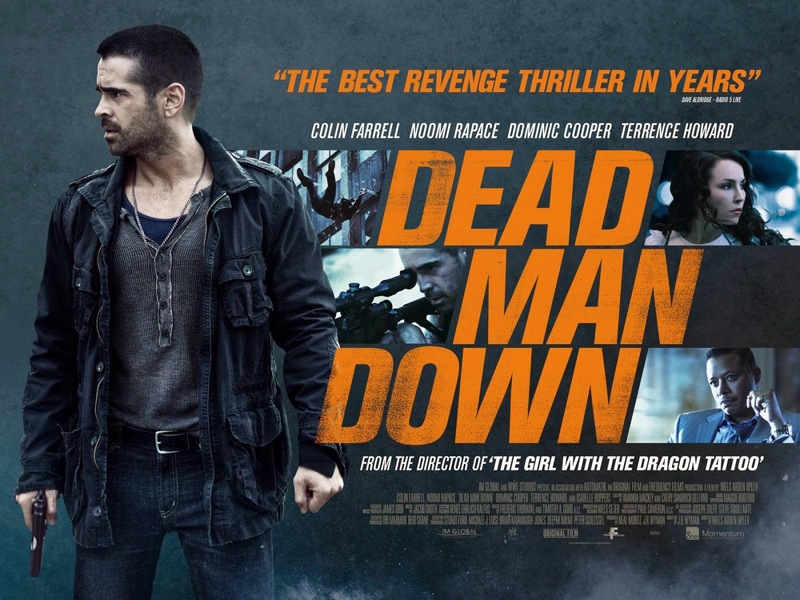 Tonally not dissimilar to the equally moody and inert Drive or Jack Reacher, Dead Man Down is a somber and violent revenge drama, a contemporary crime noir. The film, a cocktail of melancholy and melodrama, betrays its roots - the first American movie by the original Girl With The Dragon Tattoo director Niels Arden Oplev splices together a feature of equal parts languid European thriller and bombastic Hollywood action movie. Starring Colin Firth as Hungarian hitman (Victor), Dead Man Down tells a brutal tale centred around two contrasting motivations of the human heart - revenge and, ultimately, love. Finding a kindred spirit in a disfigured stranger (Noomi Rapace also of Girl With The Dragon Tattoo), a soul also set immutably on vengeance, Victor attempts to survive a life with danger all around him and an increasingly paranoid boss (Terence Howard), an American who allows his East European cronies to do his dirty work for him, who is receiving regular and escalating threats upon his life. Boasting an austere atmosphere, Dead Man Down is a serious adult movie but not one which trusts it's audience to grab subtext or ambiguities; exposition is laid out at banquet lengths and, at points, teeters on the edge of falling into B-movie territory - its A-list cast, all portraying their characters with unwavering conviction, makes certain the film stays afloat. Ultimately, Dead Man Down is, like the aforementioned Jack Reacher and Drive, a rather interesting take on Hollywood's tired action industry and refreshingly is a dark thriller spurred on not so much by superficial action but by character instead. (This is not to say that there's no violence or fight sequences, however; Dead Man Down's plot leads us via a labyrinthine path to a grand of scale shootout at the movie's conclusion). A flawed but admirable attempt at revitalising a genre and part of a new breed of thriller movies, Dead Man Down focuses on Europeans who have come to America looking for it's dreams and, instead, finding themselves stuck in a nightmare. A recommended watch for action film aficionados. * A Blu-Ray copy of this movie was provided for review purposes.